I lost my hearing during the Iraq war. 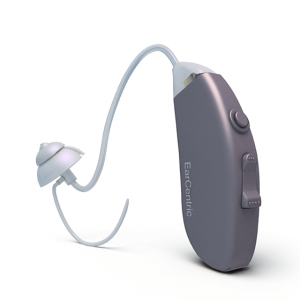 I’m a retired solider and over the years, no hearing aids has served me better than SMART. Most hearing aids I bought for prices ranging from $1499 to $5000 lasted longer eight months. I’ve been using the Earcentric for close to 14 months and It’s still working well. I only change the batteries once in a month. I will buy a pair for my mom during Christmas. It is also amazing that the company hasn’t defaulted in making people happy. I see positive testimonies online like I saw when I placed my order last year. Since my hearing loss is relegated to my one side, I paid a premium for an expensive hearing aid because I thought I had to. That model became outdated very quickly and the company wanted another $4000 for a new one that had the latest technology. I couldn’t do it so I began to research online and see what I could find. 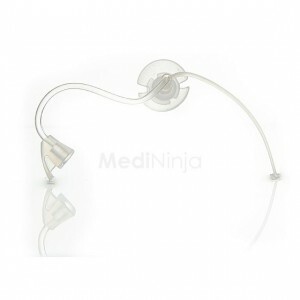 I read through the reviews and found that MediNinja offered EarCentric hearing aids and that they were a top seller and rated very highly by current users. 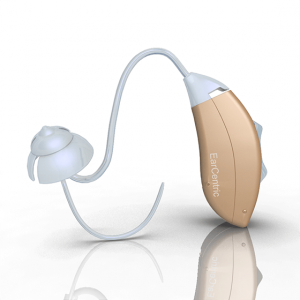 I ordered a pair of EarCentric Comfort hearing aids and tried them out right away. They sounded so much more clear and level than my expensive pair that I was glad I decided to wait and find a better solution. I am now 3 weeks into wearing them and I have gotten completely adjusted to the feel and the hearing quality. Maybe my old hearing aids would have sufficed and maybe the new $4000 pair would have been better than these, but it doesn’t matter as I have found a pair that I love and that I am going to stick with forever. I am not sure if the MediNinja team reads through these reviews or not, but if they do, here is a big thank you for the quality service and excellent products that you guys provided for me. on 02/03/2015 I returned my defective hearing aid. On 02/05/2015 I received a replacement aid. I cant begin to tell you how impressed I am with your service and customer support . From my phone call to your return call, your professionalism has been first class. I want to thank you very much for being an impressive American company. I had a previous hearing aid which was fit to my ear. That hearing aid would not stay put in my ear and I finally lost it twice. The second time it was not able to be replaced. 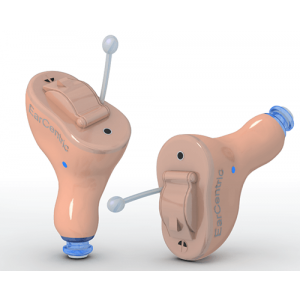 I read about EarCentric hearing aidss. I was given one and have been wearing it and enjoying the fact that I am able to hear better than the previous hearing aid. There is no comparison. It is outstanding and I recommend EarCentric hearing aidss to anyone who asks about my hearing aid. Thank you for making a great hearing aid for people to hear better than those expensive ones. Easy return policy MediNinja’s return policy was shockingly easy. I almost feel sorry I had to return to product. Thanks for your support! Thought I should take the time to thank you for your help. You guys are really helpful! I earlier thought the reviews I read about the product were all lies, however, I now find them to be true. With great doubts, I place an order. Seven day running and I’m loving what Joy is giving me. Kudos to EarCentric! For the price, this is the best deal of the entire year. Nice sound! Awesome support service and the delivery was on schedule. The device works great. I have nothing to complain about. 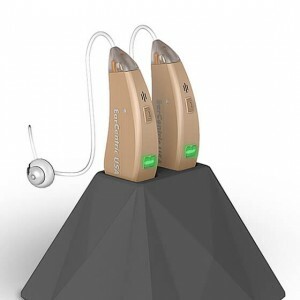 Don’t put off your hearing - After putting it off for so long, I finally broke down and purchased a pair of TOUCH hearing aids from EarCentric. I don’t know why I waited so long! 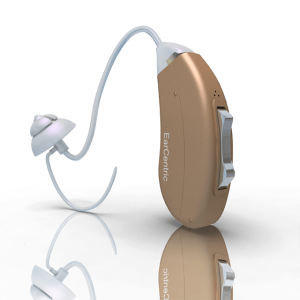 These new hearing aids are comfortable, affordable and effective. I can hear so much more now and am not missing a single beat in every conversation I am a part of! Speedy service. I returned my defective hearing aid on 11.03.2016, on the 5th I receive a replacement. Yes, you read that correctly, two days later! Super impressed by how quick and easy the whole process was. From my initial phone call to the moment I got my aids, the customer service was really top-notch. Thank you, thank you! A MediNinja shopper for good now! Using the open ear tubes, I can hear so many sounds that I never even knew existed to me. My hearing is better and so is my outlook on life. No more spending almost $3000 per set of hearing aids; Happy MediNinja shopper! YOU are doing a grand thing helping us poor people afford a hearing aid….keep on and God bless you. For years I have put up with moderate hearing loss because I didn’t think I could afford hearing aids. I saw an ad for MediNinja and that has changed my life forever. They offered high quality, affordable hearing aids that do what they are supposed to, help me hear better! Very pleased with the item and the complete transaction. Laurence was a helpful dude…so helpful and polite. When I had problems adjusting the hearing aids, she instructed me without delays. Thank you MediNinja deserves a standing ovation! Already, I am liking my EarCentric hearing aid over anything else I have ever used. 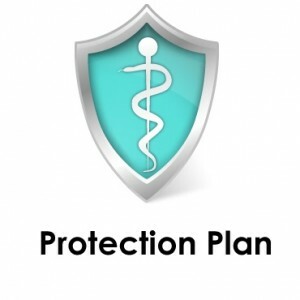 If you are looking for quality, value and superior customer service, look no further than MediNinja; they have the knowledge and experience to help you hear again. I love my hearing aids! We can talk all day about the products a company sells or the brands that they carry, but it still doesn’t make them a good company to do business with. For our family, the customer service and support are what reels us in. MediNinja has all of that and then some! We had to make a return, something the consumers of the world hate doing because it is always such a pain, but the customer support team at MediNinja handled it very well and made it one of the best experiences I have ever had with any business, online or in person! MediNinja really does care about their customers! Incredible Customer Care! 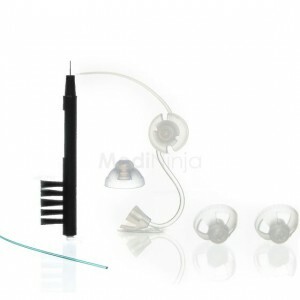 My mother started experiencing hearing loss a few years back and I soon found myself looking for good hearing aids. Comfort was actually an experiment to see if those would help her condition and they worked like a charm. These are simply the best. In fact we were so impressed that we decided to save some money and get her a JOY which is even better. The staff at MediNinja knows their stuff and help with everything they can. Thank you for all your kindness. I am age 64 and have had hearing loss for over 20 years. I am an expert witness in litigated cases and found that I was having significant difficulty hearing the attorneys and judges, especially in large courtrooms. I bought two of these aids and they have prolonged my career. The price is the selling point, but the quality will impress you. Get these if you have hearing loss and do not want to spend the price of a good used car on aids. Cheers. They truly care about the customer. Thanks very much for your help. I would also like pricing for the PRO hearing aids. I have been considering them for replacement. It’s great to work with those who take care of customers. My last hearing aid was a total misfit as per the shape and size of my ear and I finally lost them a month back. 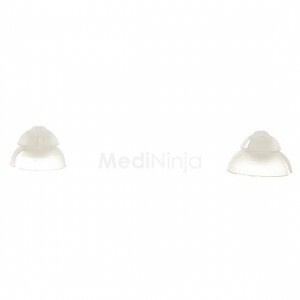 I came across MediNinja while looking for a better set of hearing Aids. I then saw that they deal in EarCentric. 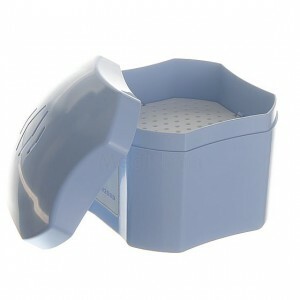 Now, people who do now know, EarCentric creates amazing products. They have excellent quality and great prices. Plus, MediNinja had great customer service reviews. I knew that I was going to buy my next hearing aids from here. Unfortunately, the hearing aids that I ordered don’t work for me. I have really bad tinnitus and I thought the FIT hearing aids would alleviate that but they did not. I was able to return them without any problems and am not dissatisfied in any way. 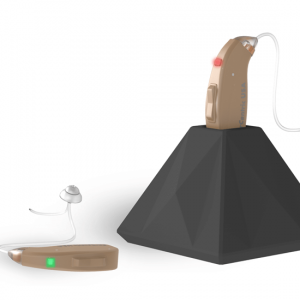 I would still recommend MediNinja and EarCentric to anyone needing a quality hearing aid for their profound hearing loss issues. I am hard to please but you did it! Kudos! I am a very tough customer to please but MediNinja has done it! When you combine their incredible customer service with their quality products, you have a winning combination. But them they throw on the lowest prices on Completely in the canal hearing aids, and they are a company on top of their game. When people ask me how I like my new hearing aids, I could talk for hours about the benefits: advanced voice detection, advanced noise reduction, adaptive directional microphone, the list goes on and on. Keep on keeping on.Really grateful to have found an affordable hearing aid for poor folks like us…well, like me. God bless you. © MediNinja.ca. All Rights Reserved.